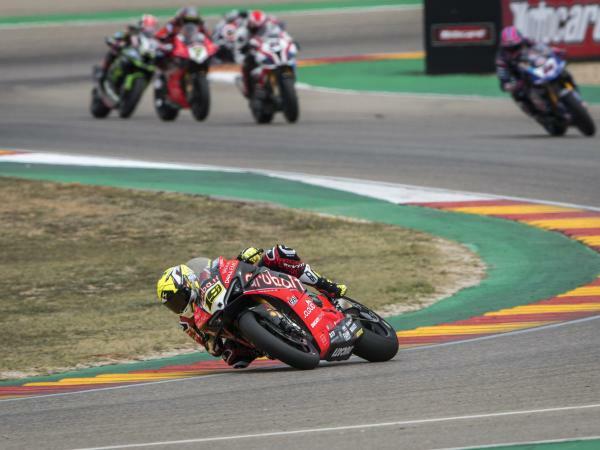 With a seventh win in a row in this year’s Superbike World Championship, Aruba.it Racing - Ducati team’s Álvaro Bautista – current leader on points – has become the first Spanish rider to win the Aragón Round at the MotorLand circuit. 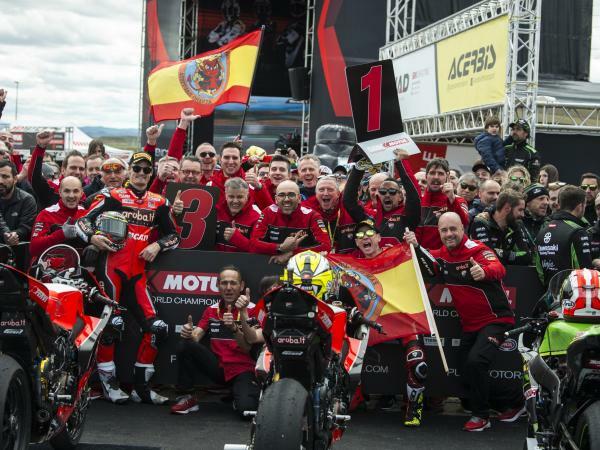 After scoring his second Superpole win of the season just three hours before, the 34-year-old from Talavera de la Reina powered his Panigale V4 R to an unrivalled seventh win of the year with another extraordinary performance, leading throughout the 18 laps from start to finish without leaving any space for his numerous rivals. 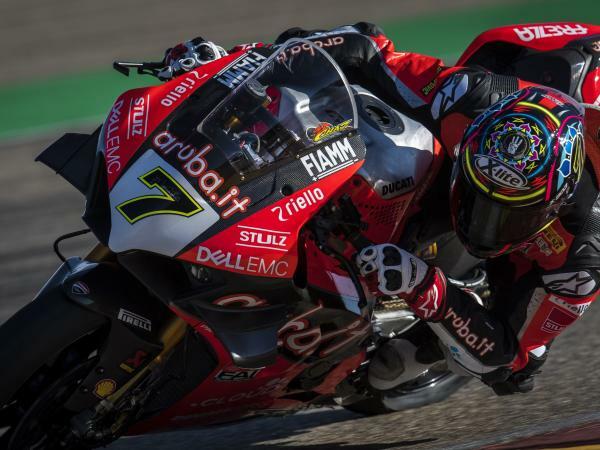 It was a positive and spectacular race on the other hand for Chaz Davies, who was starting from row 3 after going eighth quickest in Superpole. 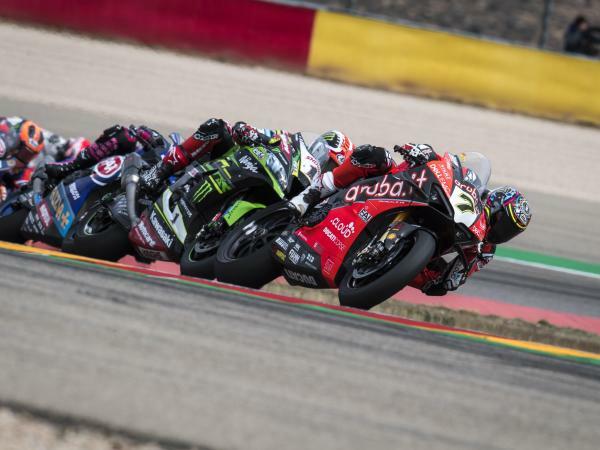 Right from the opening lap, the 32-year-old Welshman was in amongst the chasing group, always fighting for second place with Rea (Kawasaki), Lowes (Yamaha) and Laverty (Ducati GoEleven). 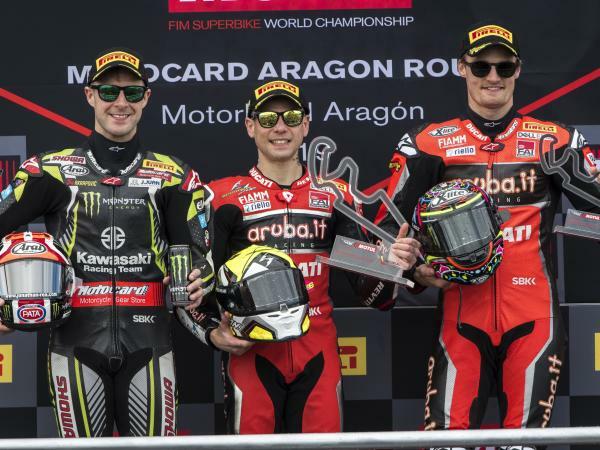 After a couple of superb passes on his rivals, Davies had to settle for third place at the chequered flag, stepping onto the podium for the first time this season. Tomorrow the Superpole sprint race will be held at 11.00 CET over a distance of 10 laps, while Race 2 will get underway at 14.00. "It’s a fantastic feeling to win a race but to do it in your home race is even more special, and I’m so happy for all the Spanish fans. I tried from the beginning to set my pace and get some advantage from lap 1, trying not to lose concentration. Although I had a comfortable lead on the others, I really enjoyed myself a lot with the bike today, sliding into and exiting the corners but I was always focussed on my riding. 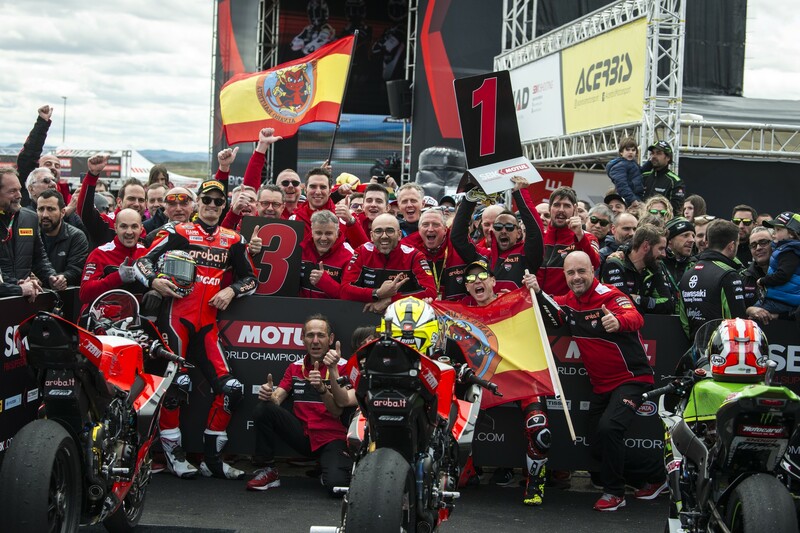 At the end to win the race and become the first Spanish rider to win in Aragón is truly a dream, especially with all my family and friends here!" "I’m really satisfied with today’s result, more so for my team and my side of the garage than me, because they’ve been working so hard all through the winter. It’s not easy when things are not going so well, but we’re always working hard looking for answers and trying our best whether its tenth or here on the podium. I had a nice battle with Johnny and Alex, I really enjoyed it. It felt like I probably had better pace but I wasn’t able to get out of the group. 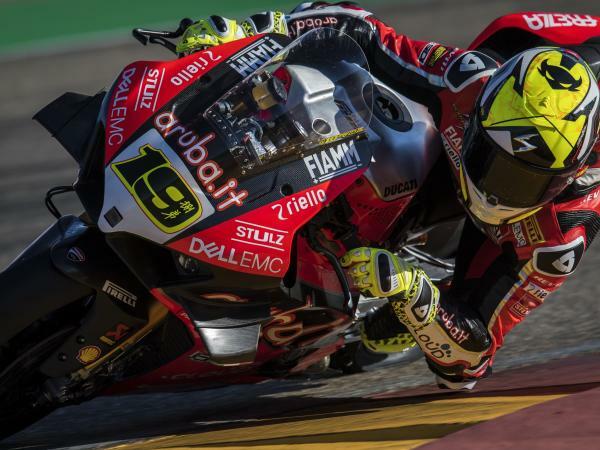 I had a couple of issues at the end of the race that kept me out of the fight for second otherwise things were quite solid with the guys running for the podium this season."